Introduction. Model Construction and Estimating Equations. 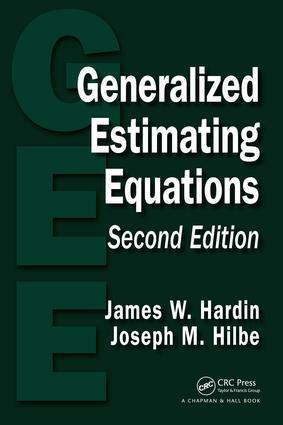 Generalized Estimating Equations. Residuals, Diagnostics, and Testing. Programs and Datasets. References. Author Index. Subject Index. James W. Hardin is the Division Director of Biostatistics and an associate professor in the Department of Epidemiology and Biostatistics at the University of South Carolina. He is also an affiliated faculty in the Institute for Families in Society. Professor Hardin was the initial author of Stata's xtgee command and has authored numerous articles and software applications related to GEE and associated models. Professor Hilbe and he have authored three editions of the popular Generalized Linear Models and Extensions and co-authored Stata's current glm command. He has also co-authored (with P. Good) four editions of the well-accepted Common Errors in Statistics (and How to Avoid Them).